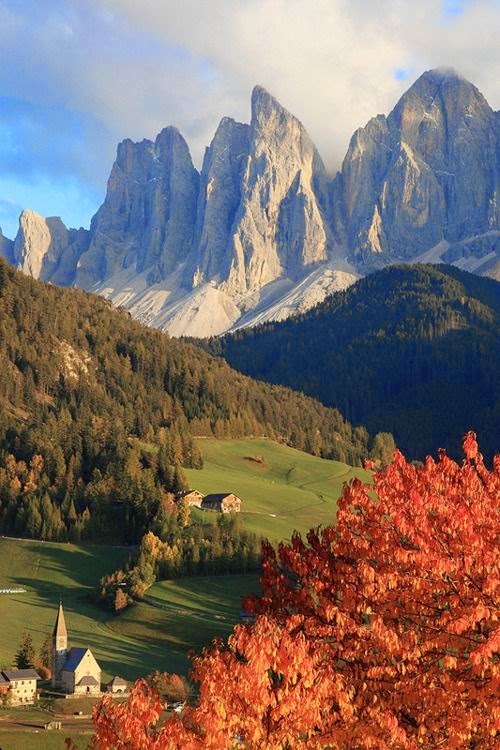 The Dolomites (Italian: Dolomiti; Ladin: Dolomites; German: Dolomiten; Venetian: Dołomiti: Friulian: Dolomitis) are a mountain range located in northeastern Italy. They form a part of Southern Limestone Alps and extend from the River Adige in the west to the Piave Valley (Pieve di Cadore) in the east. The northern and southern borders are defined by the Puster Valley and the Sugana Valley (Italian: Valsugana). The Dolomites are nearly equally shared between the provinces of Belluno, South Tyrol and Trentino.